The ginger we know is the stem of a flowering plant (the Zingiber officinale), the stem lies under the ground and splits of many roots which feed the plant. It is family of turmeric, cardamom and galangal (also known as laos), collectively they are called the Zingiberaceae family. It was first found in Southern Asia and is used in many of the Indian, Vietnamese, Chinese and Japanese dishes. Why is Ginger so interesting? It has an anti-inflammatory effect [1,2,3,4,5,9,10] which is proven in humans and animals. Read HERE why lowering inflammation will reduce muscle soreness and speed up recovery. Research  done with rats revealed that a mixture of ginger and turmeric was more effective in lowering inflammation than a NSAID (anti-inflammatory drug). 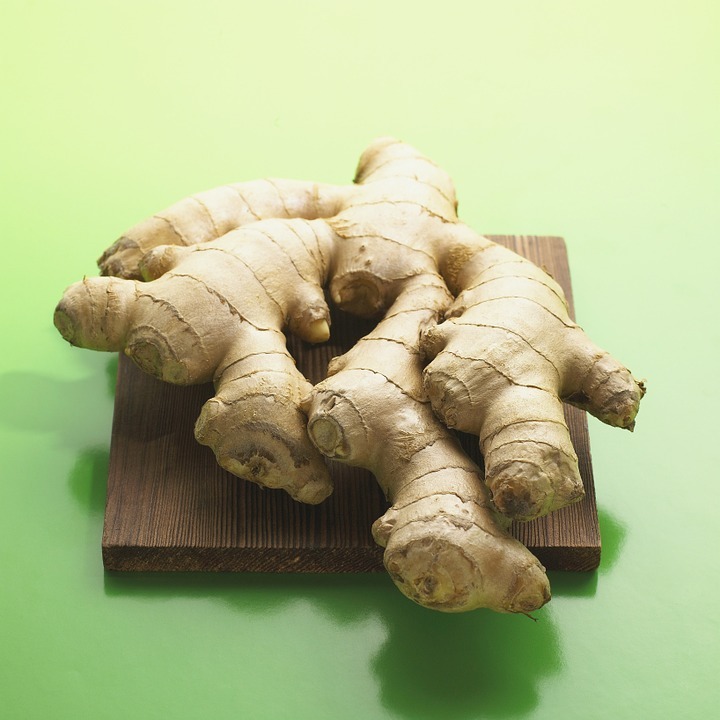 The major pharmacologically-active component of ginger is (6)-gingerol [1,2,13]. 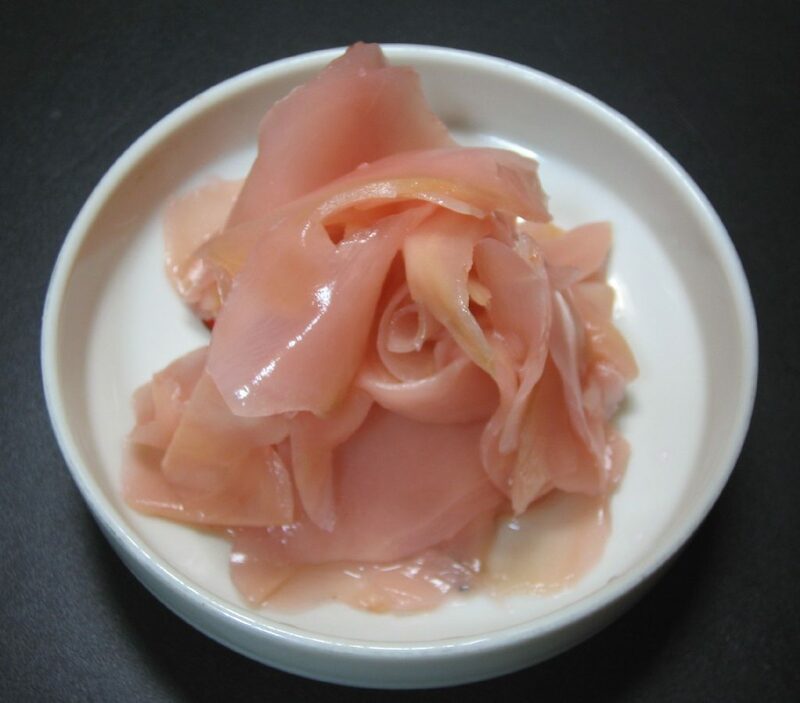 It is known to exhibit a variety of biological activities including anticancer, anti-inflammation and anti-oxidation. Other health benefits include: improving diabetes by increasing insulin sensitivity which elevate glucose uptake [3,12]. The effect of ginger supplementation before or after a eccentric workout (read more about that HERE) has been reviewed in studies. Most of the studies use a muscle damaging eccentric workout to measure the effect of ginger on various markers. It seems to be that ginger can be a very useful spice to lower muscle soreness after a heavy workout. In a few of the studies they also experimented with the moment it was consumed (before or after the training). This did not make a lot of difference there was only one study  which showed that consuming ginger before training was more beneficial. The amount of ginger consumed in the various studies differs a bit but 2-3grams of ginger powder per day is used most frequently. This is the dried and ground version of ginger, which is most easy to use. A nice way to consume the ginger powder is by adding it to your (green) tea or smoothie. That way you can control precisely how much to take in. Gingerols of Zingiber officinale enhance glucose uptake by increasing cell surface GLUT4 in cultured L6 myotubes.